It has been about four months since Share Juice Pro 1.0 was launched. The success of Share Juice Pro was instantaneous not only because of the features that it had but also wide acclamation by some top bloggers. Since then Share Juice Pro has grown a lot with new functionalities added with time. Let us look at what is new in Share Juice Pro 2.0. 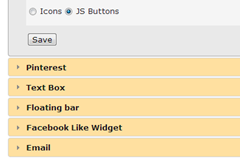 Instead of static admin panel elements, Share Juice Pro 2.0 now has a more dynamic, easy to use jQuery Accordion Panel. The color scheme has been changed to make it easy on the eyes. This is like a mini plugin by itself. The email function provides email button which can be used by your readers to send your articles as email. To prevent spamming, the email button is loaded with IP blocks, domain blocks, un-subscription options, email blocks. Also you can add a disclaimer policy. Captcha is provided to make sure that only authentic email id unsubscribe. These buttons will help you increase your reach as now it will be easier for your readers to share this on social media. It was a last minute addition. Carolyn suggested that I include this in the new release. 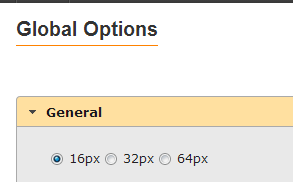 So we worked together to create configuration for this button as soon as possible. This button now helps you send your readers send your blog posts to their kindle devices further increasing your reader base and popularity. Do visit her blog to see it in action. 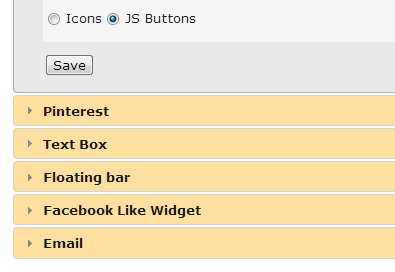 You can easily add kindle button and customize it from the admin panel of Share Juice Pro 2.0. Previously when I released a new version, you had to go through a tedious process of deleting the old version and adding a new one. Now instead of that , you only upload the Share Juice Pro 2.0 once and the updates notifications occur automatically. 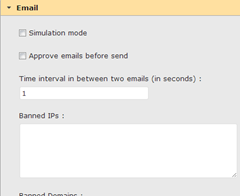 You can either check them manually or they are checked once a day from the time you last logged on to admin panel. This system works independently of the in built wordpress system but you don’t need to learn anything new to upgrade your plugin. The upgrade happens through normal wordpress process that you are used to. Previously Share Juice Pro had a few conflicts with other plugins. Now these conflicts have been resolved. There will probably be no more conflicts with other plugins as appropriate name-space has been added to global variables, class names and css identfiers. That means these names will start with either share_juice_ or share-juice- . The issues identified in Share Juice Pro 1.0 have been resolved. This has made Share Juice Pro 2.0 far more stable than 1.0. Share Juice Pro has undergone a tremendous change from its first version. I have spent a lot of time in improving the design and usability. If you do find minor bugs you can let me know via support link after login. I hope you enjoy using it . So login into your member area , download it and start using Share Juice Pro 2.0. The updates looks really exciting and I’m eager to get the new version installed. Bearing in mind the help you gave me and the settings you had to change: Does the new version over ride the old one or should I de-activate the old version before installing the new one? Also: I’m currently on the free trial but am going to buy the single user licence. Should I purchase that now or will I automatically be promped to purchase at the end of the 30 days? I replied to you . Do let me know if you got the reply :). Congratulations on the update, Ashvini! I love the new improvement. I thought Share Juice Pro was great before but now it’s even better! Thanks so much for your hard work to make Share Juice Pro an effective tool for bloggers.